An allision involving a fishing vessel, sailing boat and boatyard travelift was caused by the failure to properly fasten a transmission control cable, the National Transportation Safety Board (NTSB) determined in a recently released report. The transmission control cable not being properly fastened with a valve shift lever, as per manufacturer recommendations, was determined to be the probable cause of Ferrigno Boy striking Ventura Boatyard’s travelift and sailing boat Solera in 2015. Ferrigno Boy was a commercial fishing vessel and had arrived in Ventura Harbor to offload 13 tons of squid. The boat’s captain navigated into harbor and attempted to approach the pier for docking, according to the NTSB report. Interviews during the investigation revealed the transmission was replaced a few months before the allision. 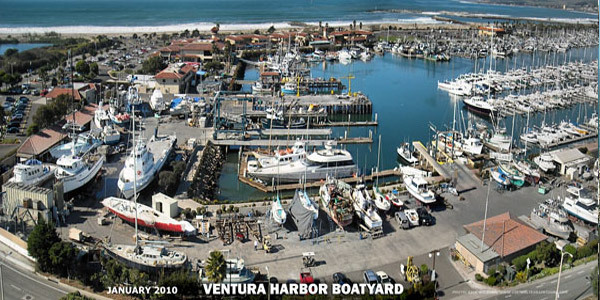 NTSB released the Ventura Boatyard incident as part of its Safer Seas Digest 2016 report, July 27 – almost two years to the date of the Ferrigno Boy allision; the commercial fishing vessel struck upon the travelift and sailing vessel on July 29, 2015. Such incidents are analyzed and published, according to the NTSB, to prevent future allisions or collisions, be it in a harbor or open ocean or elsewhere.